They can grow up to 15-18 cm / 6-7 inches fully grown. They live in water parameters of PH range 6.5-7.5 and temperatures of 17-24 Celsius / 65-75 °F. The pearl scale cold water fish look similar to the fantail cold water fish but their body shape is different. 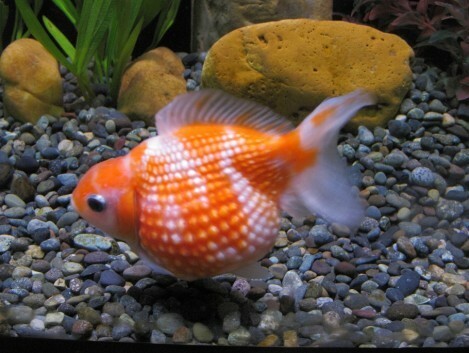 Pearl scales are the only cold water fish to have scales with a different shape than the common goldfish. 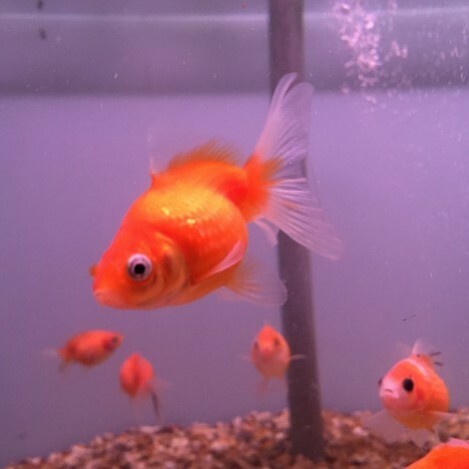 The scales are thicker and stand out more than on normal goldfish. As the pearl scale grows they get fatter in the belly so they can resemble a golf ball. Pearl scales are a peaceful and delicate cold water fish. 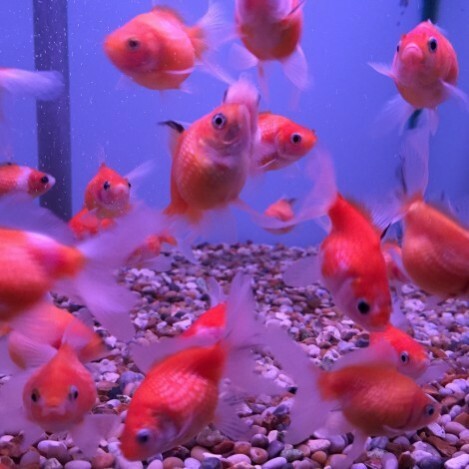 Due to there funny shape they are slow moving, so we would recommend putting them with other slow moving gold fish. They will eat a diet of flake, and mini granular foods. Also a treat of freeze dried, frozen or live foods is always good for them. Pearl scale fish enjoy pellets or flakes in there diet. They will eat of the surface of the water or of the bottom of the tank on the gravel. But we do recommend sinking the food as pearl scales can get air trapped in there already fat bellies. Live and frozen foods are good for them for a treat. We recommend feeding them once a day at the most.